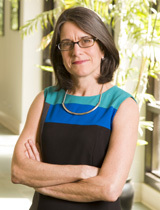 Criminal procedure expert Nancy King was cited twice in Garza v. Idaho, in which the Supreme Court, interpreting the Sixth Amendment right to the effective assistance of counsel, ruled in a 6-3 decision that an attorney’s failure to file an appeal, contrary to the defendant’s express instructions, is presumptively prejudicial regardless of whether the defendant signed an appeal waiver. The case involved Gilberto Garza Jr., who signed two plea agreements to criminal charges brought by the state of Idaho. Both agreements contained a clause stating that Garza waived his right to appeal, but after sentencing, Garza told his trial counsel that he wished to appeal. His counsel informed him that he had waived his right to appeal and did not file a notice of appeal before Garza’s right to preserve his appeal expired. Garza sought to have his appeal rights restored, contending that he received ineffective legal assistance when his attorney failed to file an appeal. In her majority opinion, Justice Sotomayor cited King’s 2005 Duke Law Journal study, “Appeals Waivers and the Future of Sentencing Policy,” co-authored with Michael O’Neill, which examined the use and impact of appeal waivers in cases sentenced under federal guidelines. She also cited the 2007 monograph, Habeas Litigation in U.S. District Courts, an empirical study of habeas corpus cases filed by state prisoners under the Antiterroism and Effective Death Penalty Act of 1996, which King co-authored with Fred Cheesman and Brian Ostrom. That study found that “over 90 percent of noncapital federal habeas petitions proceed without counsel.” King, who is a Lee S. and Charles A. Speir Professor of Law, and her co-authors were awarded a grant from the U.S. Department of Justice to complete the study of habeas cases.